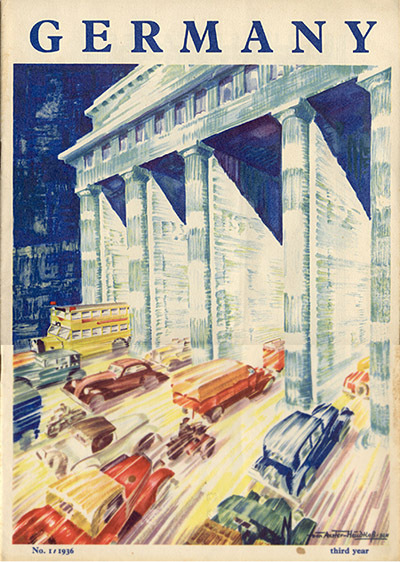 Magazine "Germany," 1936 with the cover poster "Berlin: International Automobile Exhibition." Published by the German National Tourist Office. Signed "W. von Axster-Heudtlass."